Understanding your credit, working towards financial goals, paying debt obligations, and having an awareness of your monthly income and expenses are all part of your financial wellbeing. And, your financial wellbeing impacts every facet of your life – your work and personal relationships, mental and physical health, ability to provide for basic living expenses – the list is endless. Whether you are working towards a specific goal or struggling with debt repayment, credit counseling can be a key component in helping you achieve your personal financial wellbeing. Credit counseling is a service available to consumers who are interested in getting additional support and education to help them manage their debt and work towards financial goals such as seeking, obtaining and maintaining housing. Most nonprofit credit counseling service providers like Consumer Credit Counseling Service of Maryland and Delaware (CCCSMD) offer their counseling services at no cost or at most, a nominal fee. How Can You Benefit From Credit Counseling? Credit counseling is for anyone striving to understand and achieve financial wellbeing. Your financial advocate can provide education and guidance to help you understand how your financial decisions can impact your ability to control and create financial stability. Credit counseling can bring you peace of mind while you navigate the often overwhelming task of recovering from a difficult financial situation such as job loss, poor health or change in a personal relationship. It offers you an opportunity to review options and discuss what steps and decisions would work best for you. 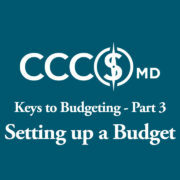 The benefits of credit counseling extend beyond taking advantage of options to repay debt; they include learning money management techniques to help you achieve and sustain goals you set during and after debts have been paid in full. Credit counseling can help you if you are new to credit, struggling with debt or working towards a specific goal such as homeownership. Anyone can benefit from this unique and comprehensive service! CCCSMD is a nonprofit organization that has focused on working with individuals to help them resolve debt and establish sound money management habits since 1966. CCCSMD is fully accredited as a consumer credit counseling service provider and is a member of the National Foundation for Credit Counseling (NFCC), which also requires that all CCCSMD Financial Advocates be fully certified in credit and housing counseling. CCCSMD is also fully accredited by the Council on Accreditation (COA). CCCSMD is committed to its mission of creating economic stability through financial advocacy and counseling. We believe every person deserves the opportunity to be economically healthy and we are dedicated to empowering you in achieving financial wellbeing. At CCCSMD you have a team of certified Financial Advocates who meet you where you are and who focus on your unique circumstances. Thanks to our legacy and decade-long expertise, we’ve been able to develop expertise and relationships with many community partners and other service providers, so you will have access to unique resources, education and options designed to help you gain or regain control over your financial future. Our personalized counseling, group education, community referrals, and a committed team are focused on your unique needs and circumstances. For immediate assistance, call us at 1-800-642-2227 or contact us online to speak with one of our certified Financial Advocates. 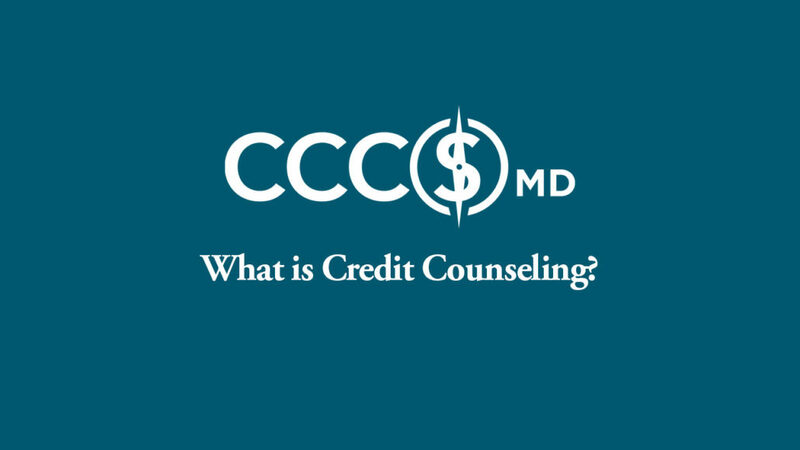 https://www.cccsmd.org/wp-content/uploads/2019/03/what-is-credit-counseling.jpg 720 1280 CCCSMD https://www.cccsmd.org/wp-content/uploads/2018/07/cccsmd.png CCCSMD2019-03-20 16:57:482019-03-20 16:57:48What is Credit Counseling? How Do I Find a Reputable Credit Counselor or Financial Advocate?